Extra convenience for Regular Meal Transporters! Shelf racks make removal of trays easier. Perfect for milk, deserts, salads or juice cups. ✓ Can also be used to stack up to 7 aluminum trays. 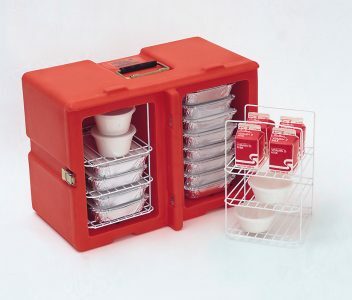 ✓ Fits either compartment of a regular meal transporter.